An unnerving new video that appears to show Steve Buscemi's face seamlessly molded onto Jennifer Lawrence's head is yet another example of the worrying advancements of 'deepfakes' videos. 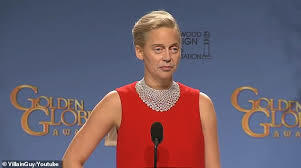 The clip will sound familiar to anyone who remembers Lawrence's speech backstage at the 2016 Golden Globes – but the words are instead coming out of Buscemi's mouth. Horrified social media viewers have been sharing the clip of 'Jennifer Buscemi' across the internet this week, with many calling it the stuff of nightmares. The clip was first posted by Reddit user VillainGuy at the beginning of January. It's since been shared thousands of times.